The avocados on the right are the variety Hass and the variety on the left is GEM. Americans ate more than 2 billion pounds of Avocados in 2016. Eric Focht and Mary Lu Arpaia breed avocado trees across California. They're in search of varities that'll grow well in Central California. 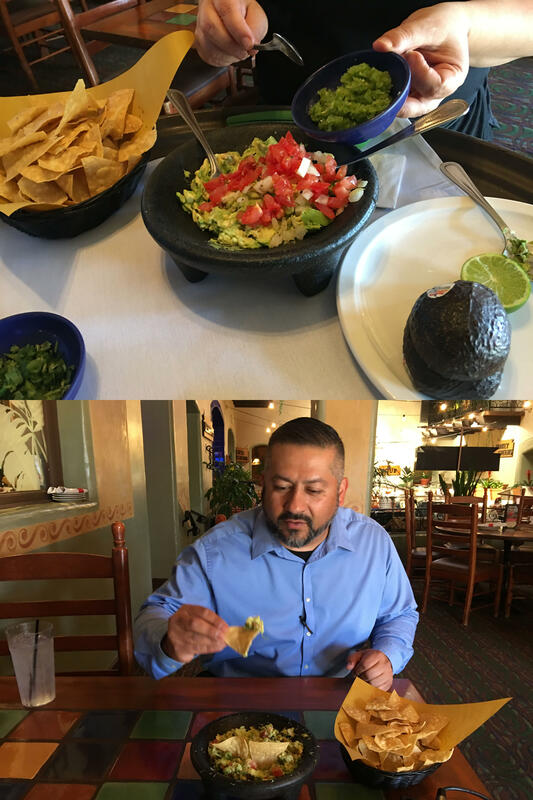 Customers love the guacamole served tableside at El Torito in Downtown Fresno so much that about half of them order it. Daniel Avalos is the general manager there. El Torito in Downtown Fresno serves guacamole tableside. The restaurant uses around 500 avocados a week. Avalos and I just ordered some guac. For $10 the appetizer is created on a platter in front of us. “She cuts the avocados in half and then she’s getting the pulp out of the avocado and putting in the molcajete where we smash the avocado and mix it with veggies,” says Avalos. Avalos says the restaurant goes through about 500 avocados a week and when they added tableside guacamole to their menu in the 80s it quickly became a hit. 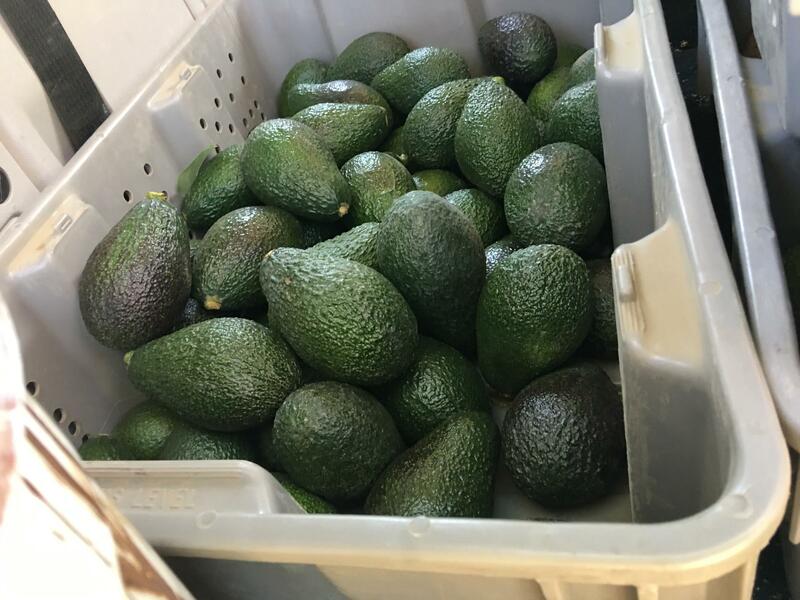 Most of the avocados he buys are from out of the country, but he wishes California avocados were available more often. “California avocados are the best in the world, but we don’t have them all year long,” Avalos says. One avocado researcher wants to change that. 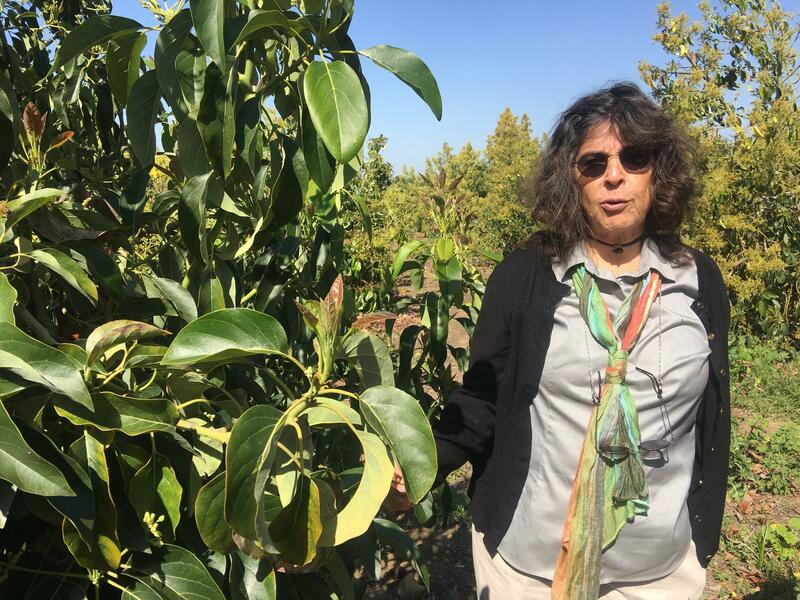 Mary Lu Arpaia is on a mission to find an avocado tree that can withstand the Central Valley’s frosty winters and hot summers. Currently most avocados in the state are grown in Southern California and a narrow strip along the coast. Mary Lu Arpaia loves avocados. She moved to the Central Valley to find a variety of avocados that'll grow well here. Since 1996 Arpaia’s bred avocado trees across the state for the University of California. On less than five acres at the University of California, Division of Agriculture and Natural Resources Lindcove Research and Extension Center in Lemon Cove, east of Visalia, Arpaia thinks she’s found three varieties that can do just that. Americans ate 2 billion pounds of the green fruit last year and most of those avocados were a variety called Hass. That’s 95 percent of all the avocados Americans consume. Hass is a variety discovered in California in the 1920s. It doesn’t grow well in the valley and the amount that’s grown in the rest of the state is only available at certain times of the year. We just don’t grow enough to compete with the large amount coming in from foreign markets. The goal is to breed varieties that aren’t super tall, can be planted close to each other and have a high yield. One type Arpaia and her colleague Eric Focht are recommending to growers has all these traits. It’s called GEM and is already sold at nurseries. Arpaia didn't breed it, but they made the decision to recommend that the UC patent and release it. GEM is actually the great granddaughter of Hass. The second type is nicknamed lunchbox for its small size. The third has no name yet, but Arpaia and Focht think it holds promise. “Lunchbox, that one peels nice, but I mean this one just falls out of the skin,” Focht says. Arpaia says both of these varieties should be on the market within a year or two. That’s good news for California avocado growers who want options. 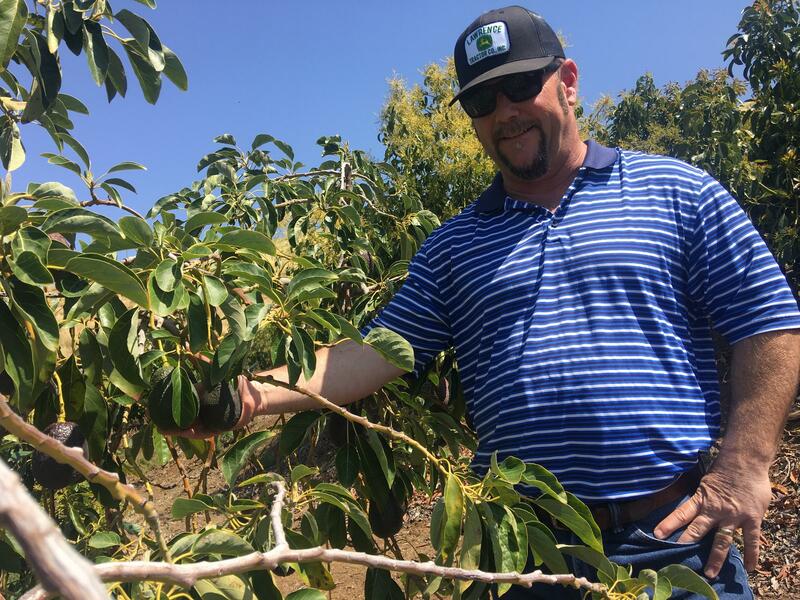 Jon Stearns grows avocados in the Visalia area. He says they do best on hills because the incline helps regulate temperature. The avocado industry also has interest in Arpaia’s work in Lemon Cove. 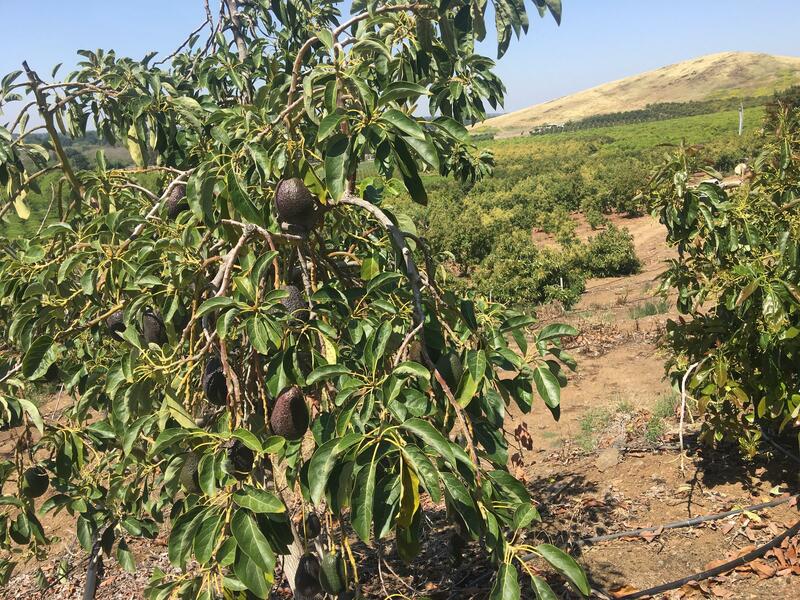 Tim Spann, the research program director at the California Avocado Commission, says new varieties producing at different times of the year could widen the California avocado market. The industry once funded the UC avocado research, but pulled most of their funding a few years ago to focus on pests harming avocado trees. Now he says the commission is thinking of reversing course. Jon Stearns says as an avocado grower he hopes new varieties come on the market. Jon Stearns is one of the few avocado farmers in the Central Valley. He grows 25 acres of mainly Hass avocados on a hill outside of Visalia and says the incline of the hill actually helps keep the trees the warm in the winter. “In the summertime we do some cooling techniques with our emitters and some foggers and stuff like that when it gets really hot, you know over 105 degrees,” Stearns says. He says he’d love to get his hands on avocado varieties that do well in the valley. “If they could come up with a variety that’s similar to the Hass that we could plant, you know, down at ground level instead of having it on the hills I’m sure a lot of people would plant them,” Stearns says. Avocado growers aren't the only farmers interested in Mary Lu Arpaia's research. Citrus growers are also interested. But it’s not just avocado farmers that are interested in the new varieties. The avocado test plot is held at the citrus research center in part to see if avocados grow well in the citrus belt. Valley citrus growers are looking for alternative crops thanks to a looming threat to their business. The citrus industry is afraid of a disease called Huanglongbing carried by tiny bugs called psyllids. It’s a disease that decimated the citrus industry in Florida and has made its way to Southern California. Bob Blakely with the trade organization California Citrus Mutual says it’s only a matter of time before it reaches the valley. Still Blakely admits if the disease reaches the Valley citrus growers will eventually need something else to grow. That could be avocados if the findings at the research center near Visalia prove fruitful. 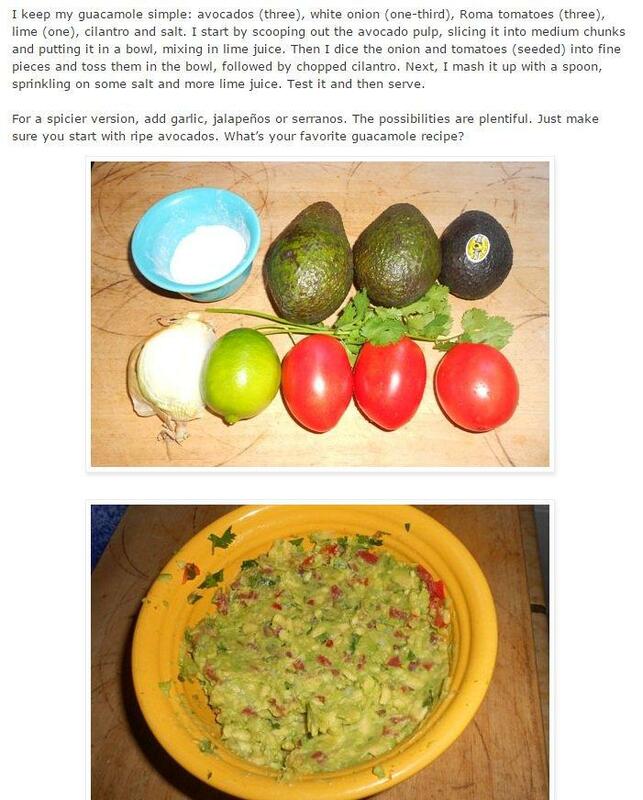 Mary Lu Arpaia also has a favorite recipe for guacamole. Check out her recipe below first posted on Twitter. A research center near Visalia is in the process of breeding a citrus tree resistant to a disease that has the industry on edge. FM89’s Ezra David Romero reports. With spring around the corner citrus trees are starting to push out new growth, but FM89’s Ezra David Romero reports new leaves and stems also mean more space for an invasive pest. The citrus industry is asking California residents with outdoor orange or lemon trees to help them fight a potentially devastating pest. UC Agriculture and Natural Resources Entomologist Beth Grafton-Cardwell says the Asian citrus psyllid can carry a disease that is fatal to citrus trees. For the fourth year the Fresno Arts Council is marrying art and agriculture into a show. The 2017 Arts Alive in Agriculture Showcase will be made up of local artists.